I've had a bit of a revelation. After a couple of years of constant racing, and racking up crazy numbers of marathons and ultras, I've come to realise that I've lost sight of what’s important to me about running – really enjoying it! I think it started in December, when I signed up for coaching with Robbie, and he suggested I drop out of a few of the races I had coming up, as with the frequency that I’d planned to race in 2015, there’d be no time for proper training. So, I followed his advice and with a heavy heart withdrew from Country to Capital. It got me thinking about the importance of races v training. To a certain extent, I am surrounded by friends who race near on every week – people who achieve the most extraordinary things in marathon and ultra running, and I think I've felt I had to try and keep up with them. To try to do what they did if I wanted to be considered a “proper” runner. But this weekend, my outlook on racing, and how I approach my running, has changed. My mum and I attended a funeral on Saturday, of a family friend, Tanya. My mum had known her for 40 years, and Tanya and her late husband Ugo (who ran a local nursery on a beautiful plot of land) were an intrinsic part of my childhood and teenage memories, particularly at Christmas when we would go and chop down our Christmas tree from their nursery and then catch up for a chat in their wonderful home, that they had built themselves. I was so sad to hear that Tanya had passed away after being diagnosed with leukaemia in June, but it was a privilege to be able to attend her funeral. It was a humanist ceremony, and so more of a celebration of life, and there was laughter along with the tears. Tanya was buried next to Ugo, in the woodland on their land, where her daughter now lives. It was a wonderful ceremony - very moving, and sad, but full of warmth and memories of a life truly lived to the full. Without doubt Tanya followed her own path and was a strong, independent and adventurous woman - a role model. The following morning, I went for a trail run with Nicki. We had been for a run the weekend before, with another friend Lindley who as well as taking part in some of the toughest races going, also organises trail events, including the St Peter’s Way 45 mile race, and it was the route of this event that we were recceing. So, Nicki and I were out in the countryside in the winter sun, up to our ankles in a hundred different types of mud, trying to follow the SPW route without getting too lost, through the woods, across the fields, and nearly to the coast. It was a brilliant day, and reminded me just why I enjoy running – we were very slow with all the mud, and walked often, but our 19 miles were rewarding and fun. When I got home, I starting reading the Facebook posts from friends who had been running the Viking Coastal Marathon Double this weekend down in Kent, put on by Traviss and Rachel, and a better organised and friendly event you can’t imagine. All of their races are absolutely brilliant from that point of view and I’ve done quite a few of them. I did their summer Viking Coastal marathon along the same route last year and ended up getting injured, but even so, am somewhat surprised I hadn’t signed up for the winter version this year, as so many of my friends were running it, and that seems to have become my main criteria for entering marathons recently. Usually, seeing everyone’s posts, I would feel sad not to have been there with them, and disappointed that my day's running hadn't resulted in a medal (Traviss and Rachel’s medals are legendary!) or another race finish to count towards my 100th Marathon. But yesterday was different. I had spent the day thoroughly enjoying the experience of being out on the trails, and I knew I wouldn't have enjoyed the marathon as much because although there would have been many friendly faces, it would have felt very social, the medal was lovely and the aid stations well stocked, the straight, dead flat tarmac route with four out and backs along the sea front just doesn’t tick enough boxes for me. For the first time, I had the realisation that a training run could be more rewarding than a race. 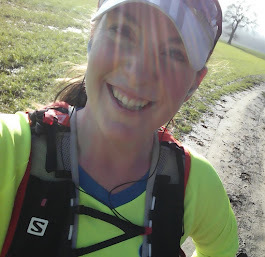 I’ve realised that I’ve got to stop chasing my numbers, and focus on what makes me happy with my running and what motivates me most - that’s new experiences, being out on the trails, feeling I’ve achieved something, enjoying the scenery, and when I race, being strong but rested enough to finish strongly. Lots of people I know have recently reached the incredible milestone of completing their 100th Marathon and received the hallowed shirt and I think I’ve fallen in to the trap of thinking it’s important that I join them as soon as possible. This means I’ve been doing races for the sake of the numbers, and not for the love of them. I’ve enjoyed most of them because I was able to share the day with the other runners, but more often than not, they weren’t the rewarding experience that I wanted or the type of race that really motivates me. So, I’m going to change the way I approach racing. I’m not going to sign up for events just because I think I should do them to add to my numbers, or because I have a month without a race booked so I might as well do another one, or to try to catch up with those who are running more races than me, or who have already reached their 100th marathon. I’m attempting some very challenging races this year, and trying to fit lots of other events around them for the sake of adding to my tally is, essentially, daft. I don’t need to fit in everything I want to achieve in running by the time I’m 35 – I want to be a runner for the rest of my life. I have another (fingers crossed!) forty plus years to fill with challenges and new experiences out on the trails! Obviously, I’ll continue to raise money for the St Francis Hospice with the races that I will do over the next year, because it’s an incredibly worthy cause and supporting them means a lot to me, and I want to continue to run in memory of my father in law, Roger. However, I believe that the magnitude of some of those races is sufficient to raise money on their own – I don’t have to fit in 24 events in 12 months as well, and I don’t have to reach my 100th marathon in the next couple of years. With this in mind, I plan to withdraw from some events, and to just focus on the ones that I have been particularly looking forward to, and that are going to give me real satisfaction when I complete them! I will train well, I will race strong, and I will enjoy my achievements. They will not be diminished by being more spread out than the achievements of my friends. I don’t need to emulate other runners around me, who are following their own, very personal journeys, with their own motivations. I will follow Tanya’s example to be my own person, and follow my own path. All makes perfect sense, running should be enjoyable above all else. I'm currently on a 'just get the numbers done' phase, hopefully only for another 8 months if I hold together physically. After that I will avoid marathons in November, December and January as I need the break and just don't enjoy them. Best of luck with everything. Normally I do not read article on blogs, but I wish to say that this write-up very forced me to try and do it! Your writing style has been amazed me. Thanks, very nice post.